In the midst of record labels reporting revenue growth, and with music streaming companies like Spotify and Apple Music touting more paid subscribers, songwriters and music publishers are continuing their lengthy fight to be paid a fair share of royalties. 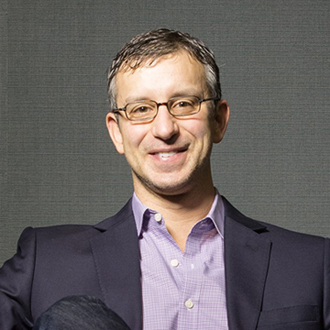 We thought this would be a good time to speak again with David Israelite, President & CEO of the National Music Publishers Association (NMPA), about the latest developments in music streaming royalties, and the laws that control how songwriters and music publishers are paid. Israelite recently attended the Copyright Royalty Board (CRB) hearings in Washington DC, where three judges heard arguments from music publishers & songwriters on one side, versus the music streaming companies (Spotify, Apple, Google, Amazon and Pandora) on the other side. The three judges will be determining the mechanical royalty rates for a new, five-year period that begins January 1, 2018. Israelite was also a witness at the trial, testifying for eight hours. In this new interview, Israelite discusses the CRB hearings, and when the judges are expected to announce their decision. He also discusses the latest status of the Department of Justice’s decision last summer to uphold the old consent decrees (from 1941), which have kept ASCAP and BMI from being able to negotiate free market rates for music publishers & songwriters. Israelite also explains the impact of BMI’s successful appeal last September to maintain fractional licensing, which the DOJ has tried to eliminate. Interestingly, Israelite explains how a new presidential administration may have an effect on how the DOJ views the consent decrees and fractional licensing. Following the election of President Donald Trump, new officers are being appointed and confirmed to head up the DOJ, and these officers may view the music royalty issues differently than the previous administration. Before we start this interview, here is some information on the NMPA and Israelite. Founded in 1917, the NMPA is the trade association representing all music publishers and their songwriting partners. The NMPA’s mandate is to protect and advance the interests of music publishers and songwriters in matters relating to the domestic and global protection of music copyrights. Israelite has been the head of the NMPA since 2005. He is an attorney who served as Deputy Chief of Staff and Counselor to the Attorney General of the United States, and he was also Chairman of the DOJ’s Task Force on Intellectual Property. The NMPA has also established a charitable foundation, called the S.O.N.G.S. Foundation (which stands for Supporting Our Next Generation of Songwriters) to help songwriters. 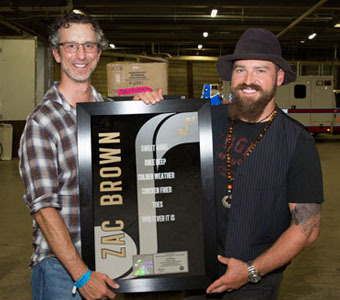 They host fund-raising events (including golf tournaments and music awards ceremonies) to raise money for songwriters. DK: What’s the latest status of the Copyright Royalty Board (CRB) proceedings, and is Sony Music still pushing for their own approach to paying songwriters & publishers? 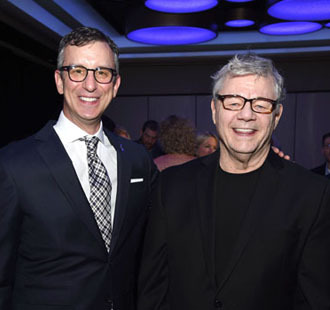 David Israelite with Steve Miller (Rock & Roll Hall of Fame inductee). David Israelite: I’m glad you asked. Sony exited the CRB as we had hoped that they would. So we ended up going to trial with only five, digital music companies on the other side of the courtroom: Apple, Spotify, Amazon, Google and Pandora. We just finished about a six-week trial of our direct cases that was pretty intense. I spent eight hours on the witness stand, and now the parties have to do post-trial briefs to the court, and then they’ll go back in a few weeks and do closing arguments to the court. Then, we actually have to wait quite a while—we won’t get a decision out of the court until probably December. And the decision will announce a new rate structure that will start on January 1st (2018) and last five years. Obviously, there are some really big issues in front of the court, about how songwriters will be paid over the next five years from these companies that do interactive streaming. DK: Since you’ve been watching the hearings, could you get a sense of how things were going and what the CRB will ultimately decide? Israelite: It’s hard to predict what the three judges are going to ultimately decide. A good deal of the trial was conducted in what’s known as closed session, which means that they’re discussing confidential company information, and everybody but the lawyers have to exit. So it’s hard to guess, but we feel very good about how the trial went. One of the things that we’re focused on, is we think that the songwriter should get paid every time their song is streamed. And so we’re asking for a pretty radical change in the model from a percent of revenue structure, to a penny rate structure. I guess that’s not radical when that’s usually how a songwriter is paid from a sale, but it would be different for how these interactive streaming companies do business. So obviously, we’re asking for a higher rate as songwriters deserve, but we’re also asking for a different structure that could have some impact on the amount of compensation that a songwriter gets. So we’re optimistic, but it’s impossible to know for sure, so we’re not making any firm predictions. DK: I read that prior to the hearings with the CRB, the NMPA had already reached agreement with certain major labels on a mechanical royalty rate for CDs, digital downloads and vinyl albums, and a Ringtone rate. Is that accurate? Israelite: Yes. The trial in the CRB covers all uses of mechanical reproduction. Currently in the law, there are three different types of mechanicals that are bundled by Type A, Type B and Type C. The A types are basically the old models. They involve physical products like a CD or a vinyl album, and they involve digital downloads which are mostly dying. What we did in this trial, is we went to the record labels and we settled the sub-part A rates, meaning the old models. Our view was that we wanted the trial to focus on what’s important for the future, not about models of the past. And so, because we and the record labels agreed on a settlement, we were able to take that to the court, and the court has adopted our settlement, meaning that wasn’t part of the trial. So the trial focused exclusively on what’s known as the sub-part B and C rates, which are really the digital rates. And that made a lot of sense to both sides, because we’re talking about models that are shrinking quite a bit. 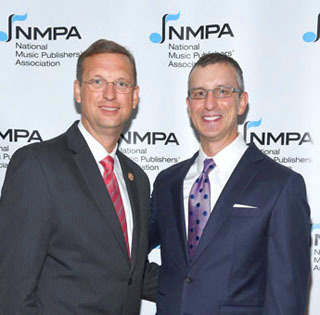 David Israelite with Congressman Doug Collins (left) , who is pushing for legislation to secure fair royalty rates for songwriters & music publishers. DK: Last year, the Department of Justice announced the disappointing news that they would not change or amend the old consent decrees. Are there any new developments on this? Israelite: With the DOJ process, we feel very good that we’re going to get a new chance to start over with a new (presidential) administration in place. The last administration that was running the Antitrust Division of the Justice Department, we think was incredibly flawed and biased. In fact, we think that was proven by both the Copyright Office and the federal judge that oversees the consent decrees—both agreeing with us against the opinions of the previous team at the Justice Department. And so now that there’s a new team coming in, we’re going to go back to the Justice Department and start over with our list of requests. We’re hoping that we will get a much more favorable review of these consent decrees, and that’s a process that we expect to start playing out very soon. The new Head of the Antitrust Division has his confirmation hearing soon, and as soon as he and his team are in place, we expect that we’ll start a new process, and we’re hoping for a much better result. DK: The new leadership at the DOJ is being appointed by President Trump. Since Trump is known for his dislike of regulation, could this have a positive effect on a future consent decree ruling? Israelite: Oh yes, we’re counting on that. I think most people don’t understand our industry and how it’s regulated. You know, I have no reason to think that President Trump has really dug into the weeds on this. But if you were to ask President Trump, “How does it make you feel to know that a small business owner has their prices set by the federal government for 75% of what they do?” I’m guessing his reaction would be very hostile, because he’s a businessman—he’s someone who believes in less government regulation. So that should carry through to the specifics of our particular issue. There is no reason why the Justice Department is regulating the activity based on an analysis from 1941, when the broadcast industry needed protection from the songwriters (laughs). You look at today, and the idea that a Google or Apple or Amazon needs protection from the songwriters, it’s so far beyond the ridiculous that you want to laugh at it if it weren’t so sad. And so yes, we are counting on the new Justice Department to have a different attitude about the government’s role in regulating businesses, and we hope that when we have an opportunity to present our case, that we’ll get a lot of sympathy to the idea that these old consent decrees are no longer working like they were supposed to. DK: To many people, the way that royalties are paid from music streaming is complicated. It seems confusing that streaming income is both a mechanical royalty and a performance royalty. Can you please explain how it works? Israelite: Yes, it is confusing. In the old days, there was a very simple separation between a mechanical and a performance. People thought of it as, if you buy a copy, that’s a mechanical. If you listen to it on radio, that’s a performance. And everyone understood that difference. But when interactive streaming came about, it was unclear exactly what it was. Normally it wouldn’t matter, because it involved the copyright of a songwriter, and you should just have to negotiate and get permission to use the copyright and pay a fee that the songwriter agrees to. But unfortunately, because the way that our industry is regulated—because mechanicals are regulated by law—and because performances under ASCAP and BMI are regulated by consent decrees, it very much matters what something is, even though it shouldn’t. So because of that, an interactive stream was determined to be both. It was both a mechanical and a performance. And so because of that, the two different applications of mechanical and performance have their rates set in different ways. The mechanical is set through the CRB trial, and the performance is set through a consent decree trial. You add the two together, and you get the total amount of payment, but the rates are set separately. 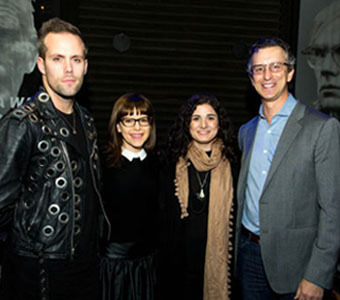 Pictured (l-r): Hit songwriters Justin Tranter, Lisa Loeb, Ilsey Juber, and David Israelite. So if you’re a songwriter, one of these companies I just mentioned—Apple, Google, Amazon, Spotify, Pandora—you’ll see two different payment streams, one from your PRO (such as ASCAP or BMI) and one from your publisher. And you really have to add them together to get the totality of what they’re paying you. It’s a very awkward way to do business, and the only reason we’re doing it this way, is because of these unfair ways that we’re being regulated by the government that forced us to. It’s not by choice. But it is confusing, and you’re right, it’s both a mechanical and a performance. DK: So if I’m a songwriter and I’m reviewing my statements, is it about 50/50, the mechanical and performance payments from streaming companies? Israelite: It’s not 50/50, although it may work out to be that in some instances. That’s a rough estimation of how it plays out, but it’s not like there’s been a decision that it’s 50/50. 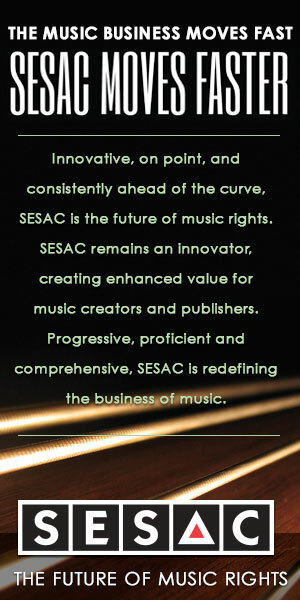 What happens is, under the current structure, ASCAP and BMI have to negotiate or go to trial and have their rates set. For the mechanical rate…I’m going to simplify this, but they owe us 10.5% of revenue, but they get to deduct the performance out. So if the performance happens to be exactly 5.25% of revenue, then yes it would be 50/50. But often times, it’s slightly different on either side of the equation, and you end up with two different payments, the total of which adds up to about 10.5% of the revenue of the service. DK: Thank you for explaining this. Regarding the CRB hearing, if you get a decision in December from the CRB that’s positive and encouraging, does that give you momentum to fight with the DOJ, to convince them to change their outlook on consent decrees? Israelite: We hope so. Let’s say for example, that today a songwriter is getting 50 cents as a performance and 50 cents as a mechanical, just for a simple exercise. If we get a higher mechanical rate, let’s say that mechanical rate goes up to 75 cents, and the performance stays the same—now the songwriter is making $1.25 instead of a dollar. But just because we get a higher mechanical rate, it doesn’t necessarily mean anything is going to change on the performance side. I’d like to see both sides go up…it’s the ideal outcome. But victory in the CRB does not necessarily mean victory at the DOJ. DK: At the recent ASCAP EXPO in Los Angeles, there was a panel about the music streaming issues. It was stated that the consent decrees could be changed by legislation in Congress. Is that correct? Israelite: Yes, the consent decrees can be changed either by an act of Congress or by a decision by the Department of Justice. And we’re approaching it in both ways. DK: Is there any progress with potential legislation in Congress? Israelite: We do expect that there will be legislation that addresses some of our concerns about the consent decrees, although probably not all of them. And separately, we will be going to the Department of Justice to try to address those concerns. Congressman Doug Collins (R-Georgia) has been a complete champion for songwriters in Congress, and I do think that we will see legislation sometime in the near future from Mr. Collins, that addresses our concerns. We’re very thankful for his efforts. DK: Will this legislation be called the Songwriter Equity Act? Israelite: I don’t know whether it will be called the Songwriter Equity Act again or not—that’s something that I think people are currently working on. But it will be legislation that addresses a lot of the songwriter needs. DK: When do you think this legislation might be initiated in Congress? Could we see progress later this year? Israelite: It’s hard to know how fast legislation is going to move. We don’t control that, obviously. But what we’re trying to do is build legislation that can be passed. We’ve spent a lot of years talking about these issues, and we haven’t seen anything happen yet. So I know that Congressman Doug Collins is very committed to seeing something actually pass, but we need a bill that can pass the House, then can pass the Senate, and that the President will sign. And there are a lot of interests that are involved in these questions. So it’s complicated, but I’m optimistic that we’re going to make progress. Whether it’s this year or next year…I’m hopeful we’ll get something done in this Congress, which is by the end of next year (2018). DK: Recently, I’ve been reading announcements by the major record labels that business is growing. Are record labels doing better now than they have in a long time? Israelite: Yes, there was a report released a few weeks ago that talked about the revenue streams for record labels. The conclusion of that report, was there had been growth in the industry of sound recordings and that things were bright, and due mostly to streaming. And so yes, I think that’s probably true. Now you know, if you talk to an individual artist or even songwriter, it doesn’t necessarily translate, depending on their own situation. You know this—the record label industry is very different than the music publishing and songwriting industry. While we hope that a rising tide lifts all creators, there are very different economics for record labels than for songwriters & music publishers. We’re in a tougher place because our rates, unlike the record labels, are not negotiated in a free market, and therefore we have a much lower royalty stream from these same companies than they do. DK: Would it be accurate to say, that record labels are now getting a fair royalty rate from the music streaming companies, but it’s the music publishers & songwriters who are not getting a fair rate? Israelite: You know, I think the record labels are getting a very healthy rate out of these services, and I think that our rate is too low. I also think the services can pay more. So I’m not necessarily suggesting that the labels have to take less for us to get paid fairly. I think that if we were both in a free market, then it would be a much more balanced distribution of the money. But because our rates are set through these crazy consent decrees and compulsory licenses, and the labels’ rate is set through a free market negotiation, you’ve ended up where the money is disproportionately on the sound recording side of the equation. And that’s what needs to be corrected. DK: What is the general percentage that Spotify, Apple and the other streaming companies pay out? I read they pay out about 70%, and they keep 30% as their income. Israelite: Yes, a rough estimate is that a digital company pays out around 70% and the record label & artist side is getting about 60% of that, and the publisher & songwriter is getting about 10% of that. That’s the rough calculation. The idea that a digital service is keeping three times what they pay the person who created the content that makes their business even possible, I think is completely out of whack. And you’ve got to remember, that for many of these companies, what they charge for their music service isn’t the entire benefit to their own companies. For example, Amazon sells a music product for $10 and they keep roughly $3 of that. But they’re getting enormous benefit to their company by people that are buying their Echo devices and buying Prime subscriptions. Or they’re selling other things through their system, and they’re getting customers because of the music. Apple is selling phones, Google is selling advertising space and a whole host of other products. So by just looking at the $10 breakdown, you’re not even getting close to the entire picture of the value of the songs to these companies. And that’s what we argued in the CRB trial, and I’m hopeful that the judges recognize that and divide up that $10 in a much more appropriate way. DK: When the DOJ ruled on the consent decrees last June, they also made the controversial decision to eliminate fractional licensing. Then last September, BMI appealed and had a rate court victory, with a judge deciding that BMI was still free to do fractional licensing. So what is the latest status on fractional licensing? Israelite: Great question. The DOJ tried to impose a rule on both BMI and ASCAP, that would get rid of fractional licensing. BMI is the one that appealed that decision to their judge; ASCAP basically let BMI take the lead on the legal side. The BMI judge slapped down the DOJ in a very aggressive way, claiming that there was no merit to the DOJ’s position. The same DOJ team in the old administration announced that they wanted to appeal that decision. Then there was an election, and the new team came in, and the first thing they did, was they asked for an extension of 90 more days to decide what to do. And that 90 days is coming up in a few weeks. I suspect they’re going to ask for even more time, since the team isn’t yet in place. What we’re hoping is that the new team, when given more time to reconsider this, takes the opposite point of view and decides to just walk away from this issue, that BMI’s appeal stands, as there is no longer a DOJ effort to do this. And then the impact should be the same for ASCAP. So it’s very much caught up in a legal process, but it’s one that we’ve won at every stage of the legal process so far. We were just dealing with a very irresponsible group in the Antitrust Division that insisted on pushing this issue despite being told by the Copyright Office they were wrong, and now being told by a federal judge that they were wrong. DK: In closing, what can songwriters and publishers do, to help their cause of getting fairer royalty rates? Israelite: It’s a great question. I come across this a lot, of a songwriter who wants to do something, wants to join the fight, and they don’t know what to do. I would say that contacting your member of Congress is very important. The problem is that we are a very concentrated industry. Most writers tend to be in music cities. As a result, when we’re fighting against, say…a broadcasting community that has a broadcast station in every Congressional district in the country, we’re at quite a disadvantage. But it’s still an important thing to do, so definitely contact your member of Congress. The other thing to do, is make sure that you join organizations that are focused on advocacy. The Nashville Songwriters Association (NSAI) is a great organization. This new SONA organization for songwriters (Songwriters of North America) is a great organization. Also, the Grammys Chapters. If you are a writer that keeps your own publishing, then you are a music publisher and you should be joining NMPA. These are all things that you can do, where you will then get a constant flow of specific things that you can do to be helpful, because of the information flow. So call your Congressperson, join the organizations that you’re eligible to join, and keep reading your site (SongwriterUniverse), because it’s certainly a place where people get educated. Those would be three great steps.